Quick overview 2.4 GHz Wireless Desktop MK320 Set offers up to a 10 meter range, even in the most crowded wireless environments, plus 128-bit AES encryption for the keyboard. The sculpted wireless mouse is comfortable for home and easy to take with you for your notebook. Simply snap the receiver on the mouse and go. Both keyboard and mouse offer extended battery life. Wireless desktop features instant-access hot keys to watch videos, listen to music, or launch applications including your calculator, email program, media player and more without installing software. 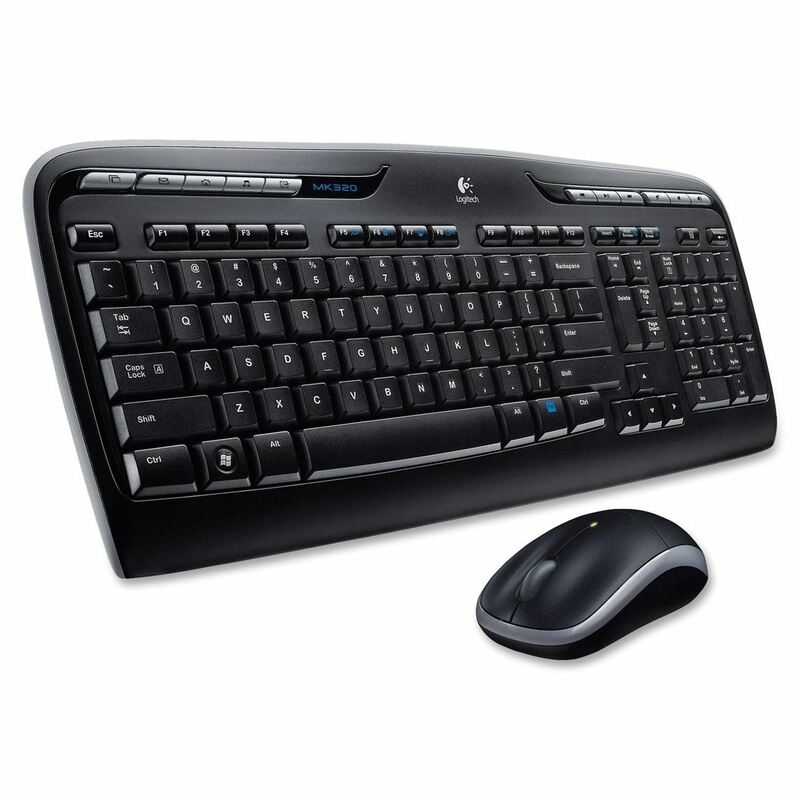 Full-size keyboard features low-profile keys and an integrated number pad.